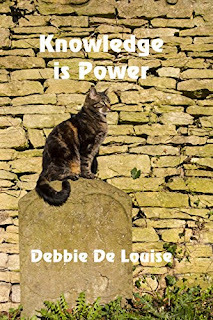 Welcome Debbie De Louise to the blog today. She’s here, talking about her books, Knowledge is Power and The Haunted Honeymoon. On the one-month anniversary of the death of her beloved cat, Librarian Margaret Goodley, uses her excellent research skills to cast a spell to bring Bluebell back to life. Unfortunately, there are unexpected consequences when two other women who have lost their own loved ones on the same day interrupt the ceremony. Francesco and Gina are not your typical engaged couple. They met in a cemetery and spent their dates watching horror movies. 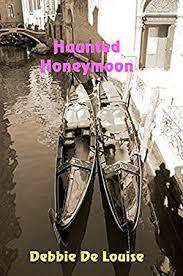 But when Francesco suggests they honeymoon in a haunted house in Venice, Gina is shocked when she learns the place may actually be Francesco’s childhood home where his parents were murdered. Debbie De Louise is an award-winning author and a reference librarian at a public library on Long Island. She is a member of International Thriller Writers, Sisters-in-Crime, the Long Island Authors Group, and the Cat Writer’s Association. She has a BA in English and an MLS in Library Science from Long Island University. Her four novels include the three books of the Cobble Cove cozy mystery series published by Solstice Publishing: A Stone's Throw, Between a Rock and a Hard Place, Written in Stone, and her latest mystery thriller, Reason to Die. 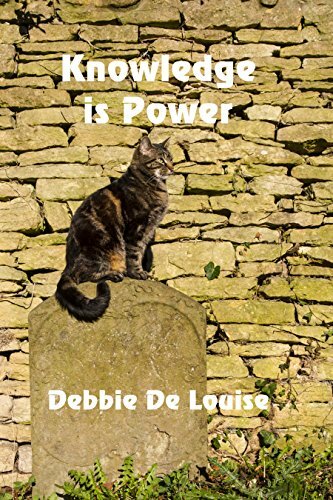 Debbie has also published a romantic comedy novella featuring a jewel heist caper, When Jack Trumps Ace, and has written articles and short stories for several anthologies of various genres. She lives on Long Island with her husband, Anthony, daughter, Holly, and cat, Stripey.